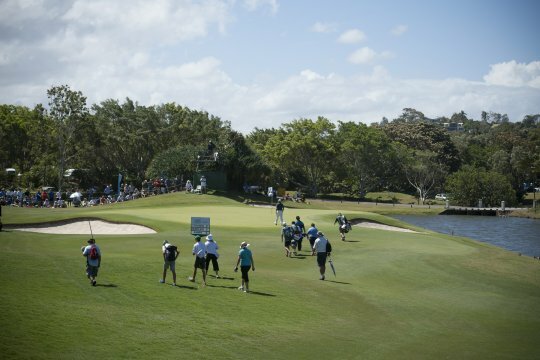 Daniel Popovic fired an opening round 64 to lead the Australian PGA Championship by two over Scott Strange at Coolum today. Popovic, who played the 2011 season on the ‘feeder’ Alps Tour in Europe, fired nine birdies in his round making the turn in 3-under 33 and closing with a 5-under 31. The 26-year-old’s only blemish coming via a bogey on the 529 metre par 5, 15th. 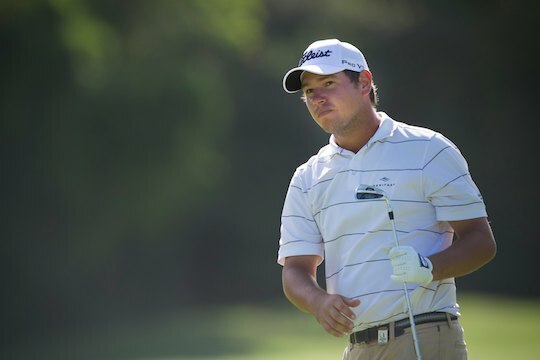 “That was some of my best golf ever,” said Popovic, who topped the 2011 Australian Q-school. With six cuts from twelve starts this season, Popovic feels his game continues to be on the improve and is at ease with were he currently stands against a field that includes major winners Geoff Ogivly and Darren Clarke. “I had a practice round with Geoff [Ogilvy] and learnt a lot,” said Popovic. Geoff Ogilvy fired an opening round of 67 to be in a tie for third alongside China’s Zhang Xin Jun, and Singapore’s Choo Tze-huang, and one behind Strange. Ogilvy’s round included two eagles with his putter running hot. “I felt like I got away with a couple,” said Ogilvy, the 2006 US Open champion. Another to get away with a solid start was Jason Scrivener. In his second year as a professional, Scrivener fired a 4-under, 68, to be in a share of 6th position along with Ryan Haller, Stephen Dartnell and last week’s winner at the Australian Open, Peter Senior. Defending champion, Greg Chalmers, is in a tie for 48th position after opening with an even par round of 72.